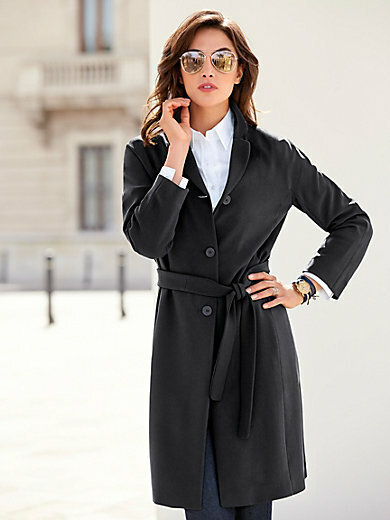 Short coat by PETER HAHN – the ultimate universal all-rounder for every look! Utterly casual – perfect for the city, business and everyday outfits. Made from top-quality crease-resistant crêpe material with a pleasant drape in 72% acetate, 28% polyester with a revers collar, button fastening and tie belt. Length approx. 90cm/36ins. Dry clean recommended.